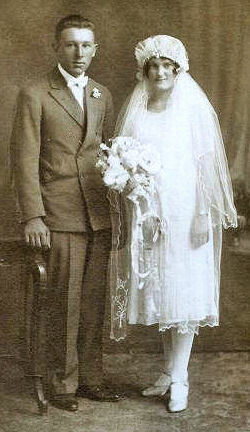 On 19 February 1930, Sylvester, aged 19, married Lena Agnes Sheridan, aged 20, daughter of Patrick Sheridan and Margaret Harte, in the Registry Office in Adelaide, South Australia . The witnesses were Edward and Nora Duncliffe, sister and brother-in-law of the groom. On 19 February 1930, Lena, aged 20, married Sylvester Hero North, aged 19, son of George Henry North and Eliza Elizabeth Valkema, in the Registry Office in Adelaide, South Australia . The witnesses were Edward and Nora Duncliffe, sister and brother-in-law of the groom. 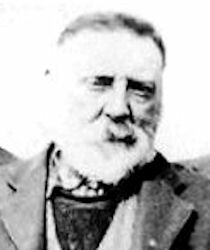 [S29] Wudinna Council, Cemetery records, Minister: Father McDonnell. 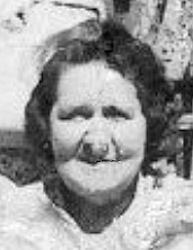 [S113] Barb Miller, Starkey Family History. Robert Andrew Nelson Starkey was born on 11 January 1891 in Exeter, South Australia , son of William Starkey and Janet Hood. James Edwin Symes was born on 4 November 1897 in Willaston, South Australia , son of Frederick Walter Symes and Elizabeth Carmody.